The pilot edition of the Human Geographic magazine is currently in development, due to be published mid-September. Small, big, spiritual and banal. Yep, stories from around the world chronicling divine occurrences and happen-chance events. At the heart of the first edition is the documentary feature: Static Miracles. 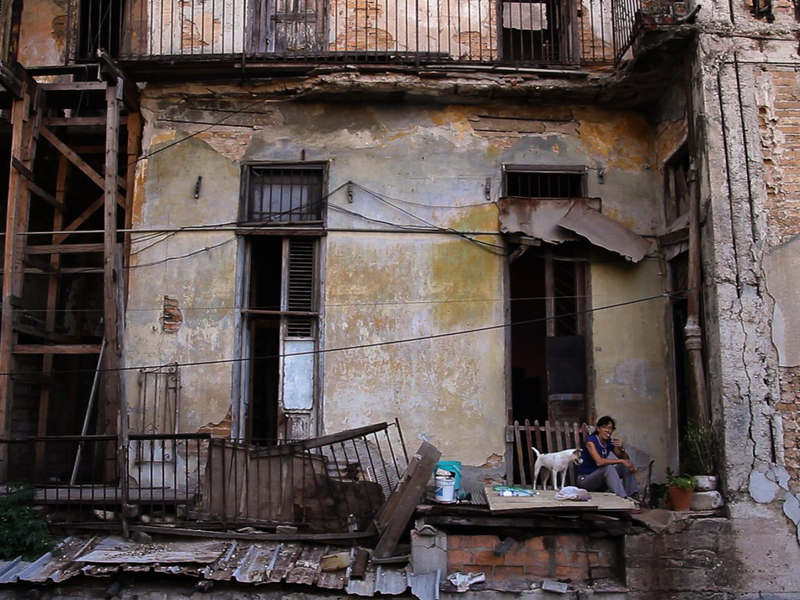 The immersive multimedia documentary is set in Cuba and adapts research undertaken by emerging filmmaker Gabrielle Brady. “I’m walking through the backstreets of Old Havana – tall, pastel coloured townhouses towering either side of me – when I see a puff of dust explode from an upstairs window,” Gabrielle begins, setting the scene in Cuba’s decaying capital. You’re holding your digital mag in the palm of your hand. You’re pulling down the screen of your tablet, smartphone or computer eager to unfold the story. You hear the soundscape of chaos. You see animated puffs of smoke billow onto the screen. You feel like you are in Havana and wait with bated breath for this home to collapse. Visceral, powerful, real. And so the story continues. You learn about the Static Miracles. You learn the life of Milagro, a woman left behind. You learn the routines of people caught in transition housing. You learn, you sense, that the foundations of Cuba’s Communist dream are fraying at the edges. If you’d like us to email you when the Human Geographic pilot magazine featuring Static Miracles is published, please sign up to our mailing list below. In the meantime, visit the Static Miracles site to learn more about Gabrielle’s feature. Beautiful, excited to see more!